Need a Chico Dog Bites and Attacks Attorney? Dog bites and attacks are becoming increasingly common in the United States. While most attacks and bites happen to children, adults too are at risk. It is estimated that there are more than 5 million people injured from dog bites and attacks each year. Some of these attacks can be traumatic, cause serious injury and even leave an adult or child permanently disfigured. The owner of the dog is liable, whether they knew their dog posed a threat or not. Usually it is the owner’s home insurance policy that covers the injuries, but you may need additional compensation for medical bills and lost wages. It is best to speak to a Chico personal injury attorney about your dog bite case to see what action must be taken. Dog bites are serious. For adults and children alike, they can be traumatic experiences. The damages alone can be catastrophic and in some cases, fatal. Expensive plastic surgery is often required to help a patient treat scarring or disfigurement, and this comes with a hefty price that most insurance companies won’t cover. As a dog bite victim, you have the right to seek additional compensation from the owner via a civil lawsuit. The dog bite attorneys at Amaya & Associates Attorneys at Law can help. It is important to contact an attorney immediately following a dog bite or attack. Do not speak to an insurance company without speaking to an attorney first. 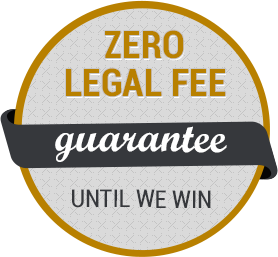 You can meet with an attorney at Amaya & Associates today for no cost by dialing now.